The finishing touch to your mechanical (cable-drive) speedometer installation in your GM or Mopar. Includes a 7 ft. long stainless steel braided housing and inner cable (you trim to length) with billet aluminum ends, and instructions. 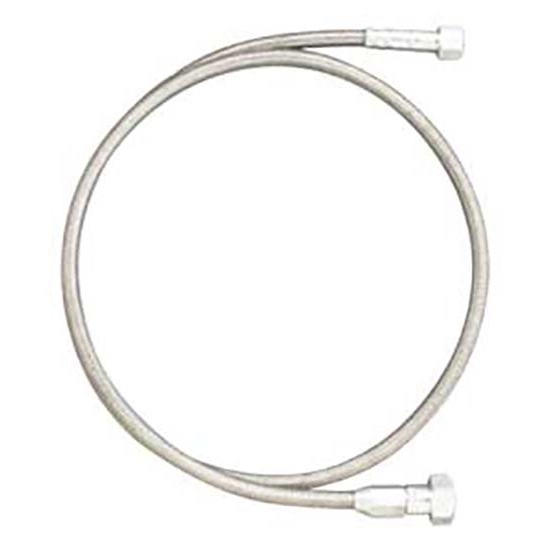 Works with all cable-drive aftermarket and original equipment speedometers that have a male 5/8"-18 thread connection. Has a 7/8"-18 end for the transmission. Lokar SP-1500U96 U-Cut-to-Fit GM/Chrysler Speedometer Cable Kit, 8 ft.
Lokar SP-1500U120 U-Cut-to-Fit GM/Chrysler Speedometer Cable, 10 ft.
Lokar SP-1500U144 U-Cut-to-Fit GM/Chrysler Speedometer Cable, 12 ft.